Celebrities like Donnie Wahlberg and William Shatner are helping a Staten Island teen's bid for 500,000 retweets to meet the Mets. 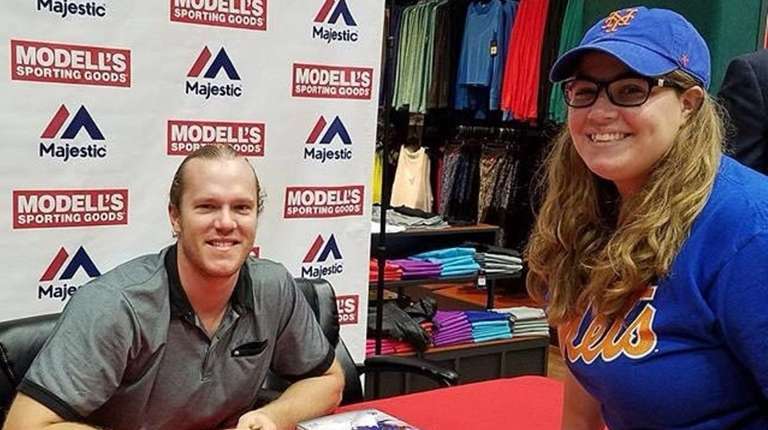 Thousands of people are doing their part to make a die-hard Mets fan’s dream come true. Callie Quinn, 17, was searching for a prom date last week when she decided to go out on a limb and ask the New York Mets over Twitter if they’d consider sending one of their players to take prom photos with her before the dance. The organization did her one better. They said if Quinn, a senior at New Dorp High School in Staten Island, could get 500,000 retweets they’d invite her to Citi Field before the Mets’ May 18 game against the Arizona Diamondbacks so she could take her prom pictures alongside a few of the players. “Think you can do it? #CalliesMetsProm” the Mets account wrote back. Quinn, whose middle name Shaye is adapted from Shea Stadium, said she wasn’t expecting much but decided to give it a shot anyway. The teen posted a screenshot of the Twitter exchange Friday. It’s since been retweeted more than 273,000 times, including by actors Donnie Wahlberg and William Shatner and the Mets’ Noah Syndergaard, Josh Smoker and Jerry Blevins. Quinn said she was shocked by all the attention her tweet’s received and that she’d “absolutely love the chance” to pose with her favorite players, Syndergaard, Michael Conforto and, of course, David Wright. “Well I didn’t think I had a shot before, but now I guess anything’s possible,” she said.